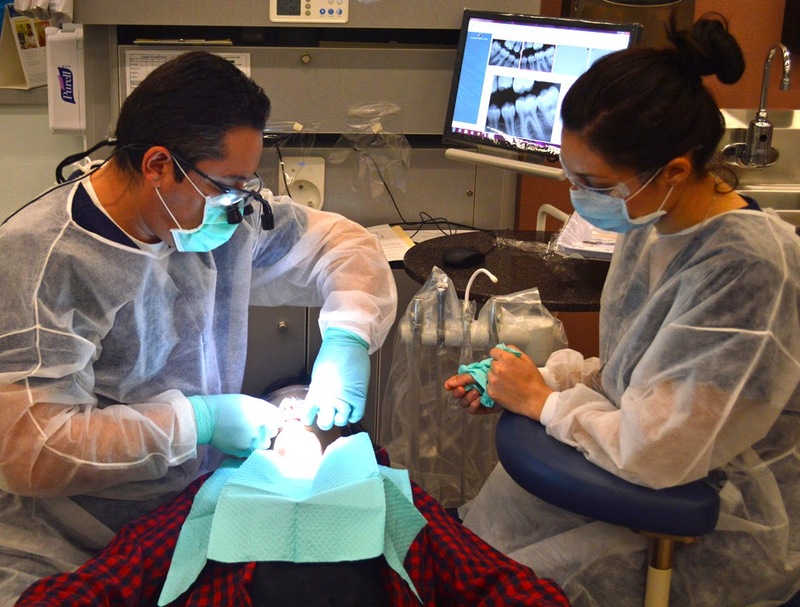 Rio Salado College | RioNews: Dental Clinics Give Kids Reason to Smile! Dental Clinics Give Kids Reason to Smile! The Rio Salado Dental Clinic hosted two wellness clinics for kids in June and July and provided free dental services to nearly 200 children! The services included exams, X-rays, cleaning and Fluoride treatments provided by Rio Salado’s dental hygiene students. “A big goal for us is to offer services to the community, while also providing a learning experience for our students,” said Clinical Coordinator Nikki Shipp. The Arizona Dental Foundation, which served as one the event sponsors reported that Rio Salado provided $23,223 worth of treatment at the June clinic! A big thank you to Rio Salado dental hygiene students, staff and volunteers for all their hard work and dedication in making the clinics a resounding success! We would also like to thank the Arizona Dental Foundation, Delta Dental of Arizona, Xlear, CBS 5 AZ - KPHO and all of our community partners for helping us get the word out about this event, for donating services and volunteering their time! The Rio Salado Dental Clinic provides quality preventive dental hygiene services at discounted rates for the public all year long. Fees range from $25-35 depending on the age of the patient. For more information, call 480-377-4100 or visit www.riosalado.edu/dentalclinic. Interested in a Dental Career? Visit this web page to learn more about our dental hygiene and dental assisting programs, and how we can help you get started.